By Jeff Kisiah, “Coach K”, nationally-known men’s ministry speaker. Insights features personal interviews, current trends, and case studies on what it means to live intentionally. Dave Armstrong, a MIM Field Staffer, joins Coach K to discuss his home church’s Annual Men’s Retreat, Personal Stories, Ministry Insights, and the Boston Red Sox! John Zeller, Executive Director of SCORE International, joins Coach K to discuss mission trips, foxhole friendships, men’s discipleship, and baseball parallels to the Christian Life. Find out more at scoreintl.org. Ron Crawford, Lead Pastor of Mt. Rock Church in Shippensburg, PA joins Coach K to discuss pastoring men, Wycliffe Bible Translators, and the ministry of hanging out in South Central Pennsylvania. During a recent trip to Dallas, Ron Greer of Man in the Mirror and Dean Pyle of Lake Pointe Church joined Coach K for a discussion on Discipleship & Worship. Coach K goes on the road to Dothan, AL to speak to Steve Miller of Men of Impact in Morgan City, LA. Steve shares some memories of Coach’s Gulf Coast trips, as well as describing ministry vision, philosophy, and strategy in Cajun country. 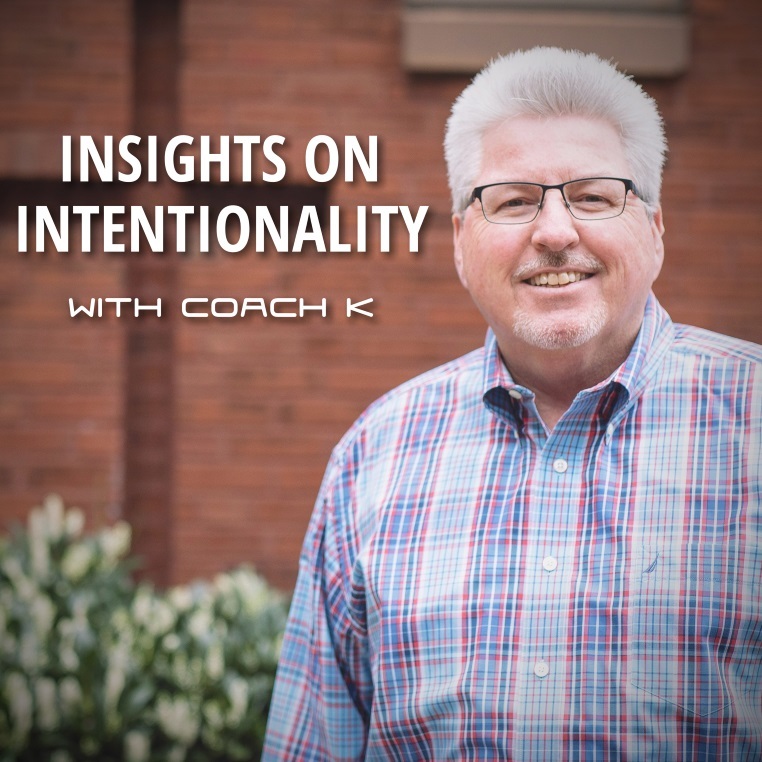 Insights on Intentionality, Episode 8 – Q&A: Who’s In Your Foxhole? Ep. 8 - Q&A: Who's In Your Foxhole? In this Q&A episode, Coach K discusses Ecclesiastes 4:12, the importance of foxhole friends, and the strength of the threefold cord. Coach K interviews Pastor James Murdock, a church planter in Kokomo, IN, focused on reaching and discipling men in his region. For more info on their ministry, visit myhopekokomo.org. Coach K interviews AJ Fobbs, a former drug dealer from Oakland, CA that experienced God’s amazing grace. His recent move to the Carolinas has created a unique friendship: Coach K and AJ are developing a partnership for “Building Bridges Over Troubled Waters,” showing intentionality towards healing the racial divide, one relationship at a time. AJ is the Founder/President of InnerManLive, Inc.
Coach K gives the Father’s Day sermon at Lakeside Baptist Church in Salem, VA, where he discusses D-Day/Operation Overlord and the “Battle 4 Men’s Souls”. Find out more about Lakeside Baptist at lbcva.com.